The following group types are not accepted by this hostel: Junior / Primary School, Stag/Hen/Bachelor Party, Sports Group If you have misrepresented the type of group you are booking for, your booking may be cancelled by the hostel." Our place looks more like bed and breakfast, its a quiet place, save and prime location is one of the most favorable points. Near metro stations, close to the historic center of the capital , in a safe neighborhood and has earned the title of historical heritage. 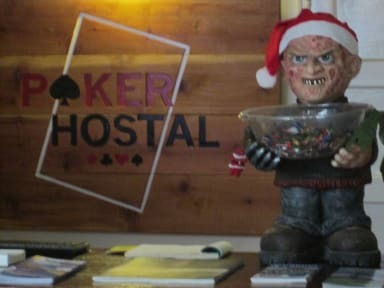 Poker Hostal provides room service and laundry with extra charge. 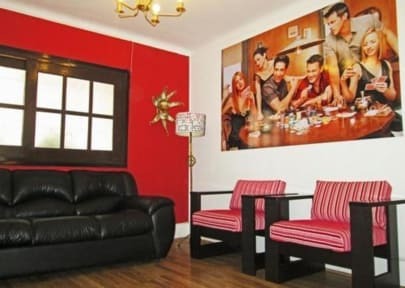 Poker Hostal is less than a 30 -minute drive from Arturo Merino Benitez Airport.